Please give feedback on our Online Multiplication Practice Zone at the bottom of the page. Here is our online times tables practice zone for practicing your times tables. This zone is similar to the multiplication zone on this page but only concentrates on learning your tables facts. Using this zone will help to apply their tables knowledge to work out related facts. This zone is all about division facts related to multiplication facts. Here you will find a selection of Mental Multiplication sheets designed to help your child improve their mental recall of Multiplication Facts and learn their times tables. As your child progresses through the grades, they will learn their multiplication table to 5x5 and eventually to 10x10, or 12x12. 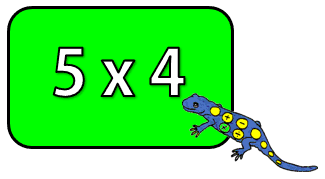 Once they know their multiplication facts, they can start to learn related facts, e.g. if 3 x 4 = 12, then 30 x 4 = 120 and $300 x 4 = $1200. The free multiplication worksheets below will support your child with their multiplication learning.